Do you ever plod along and then one day, re-assess the road you’re on? You can then either veer off course slightly or if the opportunity arises, turn off and follow another road to discover greener pastures? This is me and my creative journey, so far. For years now, I’ve been creating projects for others. Whether it’s for magazines, fabric companies or commissions, I’ve been following their vision and doing as asked. Don’t get me wrong. It’s been a lot of fun with wonderful rewards but I think I’m just tired and seem to have lost my sewing inspiration. Or it could be just coming to the end of another crazy, busy year. The kids are growing up so quickly and my son heads off to high-school next year. High school! Where on earth has the time gone? 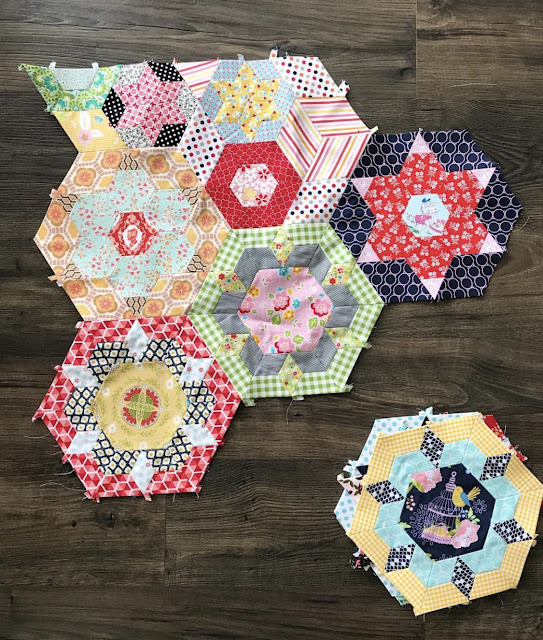 The last few months, I’ve enjoyed the slow-sewing of my Bittersweet Symphony quilt. Just making it up as I go along. Working on it when I was in the mood. Add little bits here or there and just taking my time. And you know what? I really enjoyed it. I really enjoyed to not having to worry about taking down lots of process notes or thinking about how I would write this up in a pattern. It was quite freeing. Now that the binding is being added (it should be finished this evening), I’m working on another slow-sewing project. 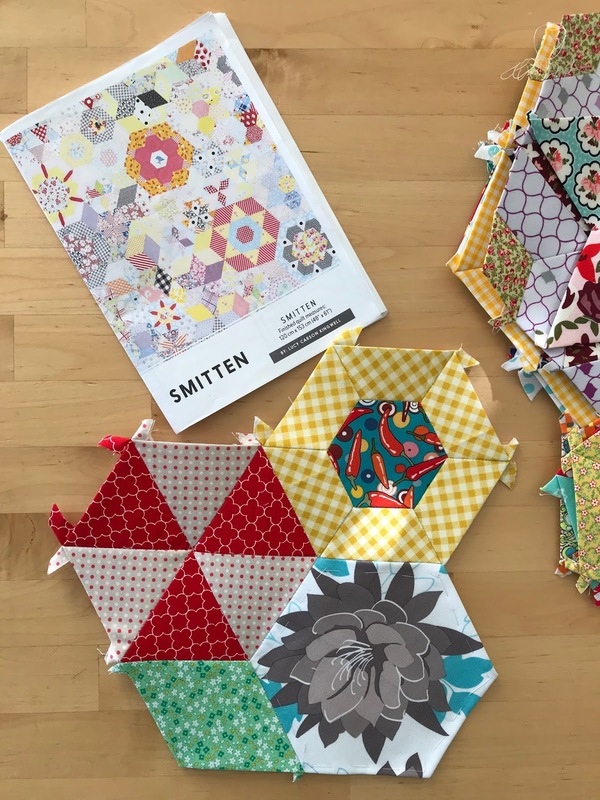 I bought this Smitten Quilt pattern and EPP papers last year and then never got further than making a few blocks before I had to put it away to make way for more “pressing" sewing projects. It got kind-of forgotten in a large plastic tub waiting for the day I’d have time to work on it. 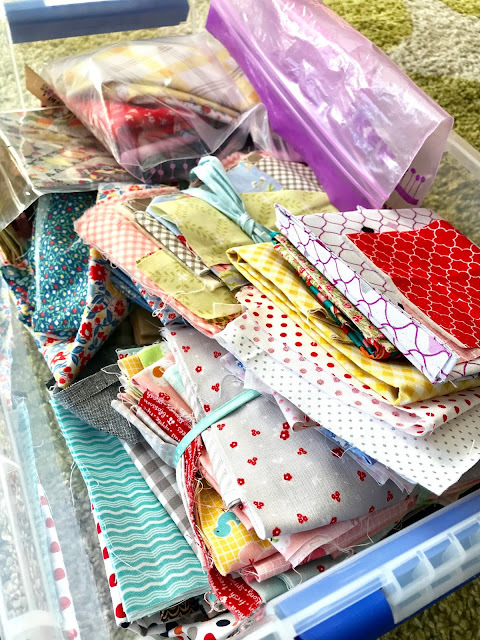 I got the box out last week and have enjoyed putting together more blocks, adding more scrappy bundles of fabrics to the box and just generally taking time to slow-sew. I am probably the slowest EPP’er on the planet, so I wouldn’t expect to see this quilt finished anytime in the near future… but that okay. I have always wanted to make a hand pieced quilt, so I’m doing it now and going to enjoy it! It looks really pretty so far. One of the dangers of making a living from what you enjoy doing is that it stops being a hobby and becomes a job. Lovely to see you enjoying your project and making time for you.